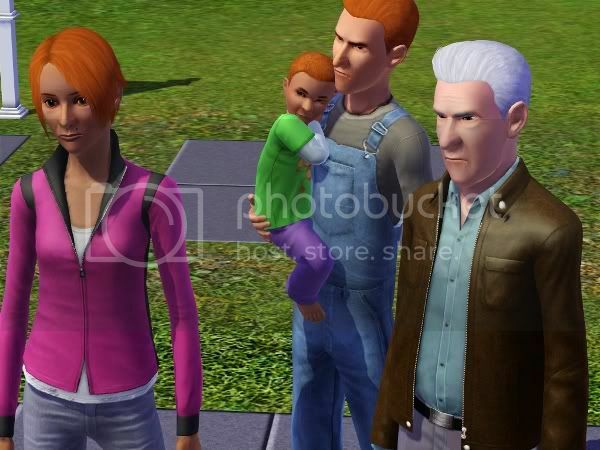 TS3 sure evolves some interesting families! 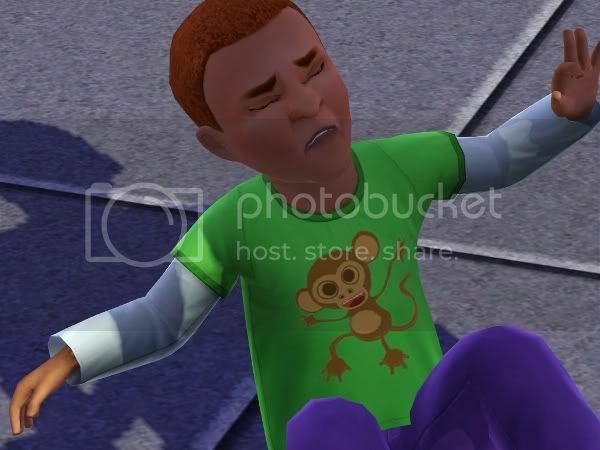 I had half-heartedly re-created the Beakers for TS3... 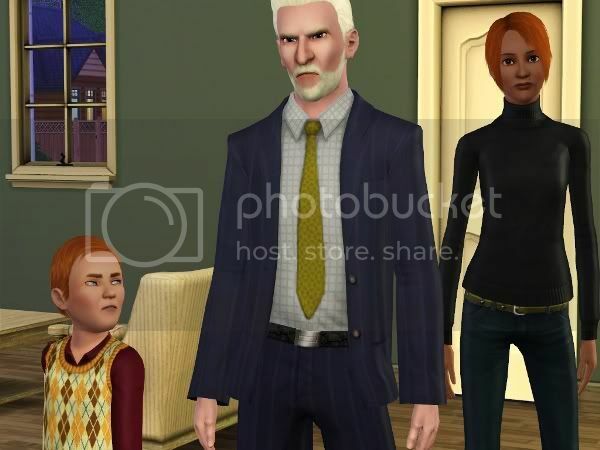 I say half-heartedly because I didn't give a lot of attention to how they looked; mainly I was just wanting to make some evil sims to plunk down in my neighborhood. Anyway, I created Loki as an Adult, Circe as a Young Adult (an oversight on my part but oh well,) and I went ahead and made them a child son in CAS named Theodore. I didn't play them at all... just leaving them to their own devices in the town. But today I checked up on them. Loki is now an Elder, Circe is an Adult, Theodore is a Young Adult, and there was a a new addtion, Mitchell. I wasn't sure if Mitchell belonged to Circe and Loki or to Theodore, but he is Circe and Loki's. What is soooo amusing are the traits the game gave to the kids. 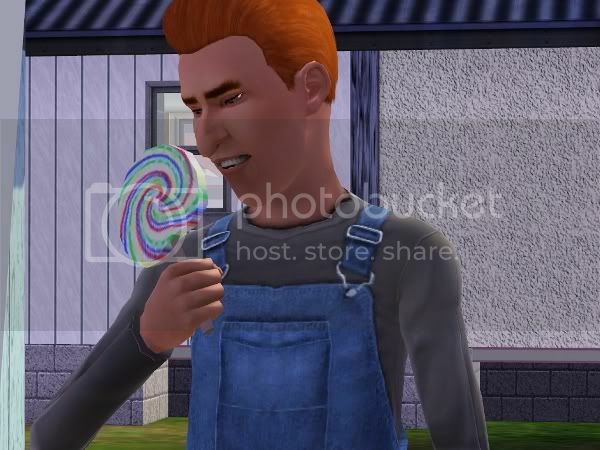 Theodore's last two traits are Dislikes Children and Snob, and little Mitchell's traits so far are Good and Friendly! OMG the poor kid... to be born into such a family! Sorry about that, Mitchell! !